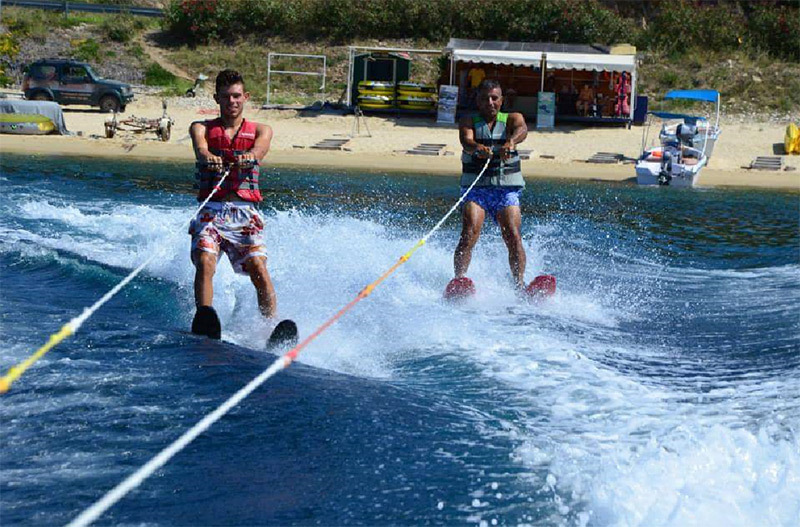 Water skiing, or as many prefer the foreign name «water ski», tends to become fashionable in recent years and it is quite natural, since it is one of the most impressive marine sports for children and adults. Regarding other water sports, skiing is the most popular, perhaps because it combines the element of water, boosts the adrenaline, and also exercises the entire body! However, water skiing, not only impress those who do it, but also the viewers, since stunts and jumps at high speeds are performed. Especially when sports events take place, people gather to admire the spectacle offered by skiers. If someone does this sport intensively, he will find himself full of energy and well-being after each ride. Even children can start from the age of 6-7 years, while olders can waterski regardless of age, if they do not face any prohibitive health problem (such as a problem in joints or ligaments). The unknown is always frightening, but if you try it once waterskiing certainly will integrate into your favorite activities. With an instructor by your side, you can do things you never thought! Just think that no one started skiing at sea with stunts and jumps! Over time you will learn techniques that will allow you to "tear" comfortable waves and enjoy the route to the fullest. As for equipment, you will not need to make a purchase, because it is waiting for you on sandy beaches, but also in professional schools that teach this sport and include everything around it. Will you show us your technique? Are you a beginner skier, professional or just a watersports fan? 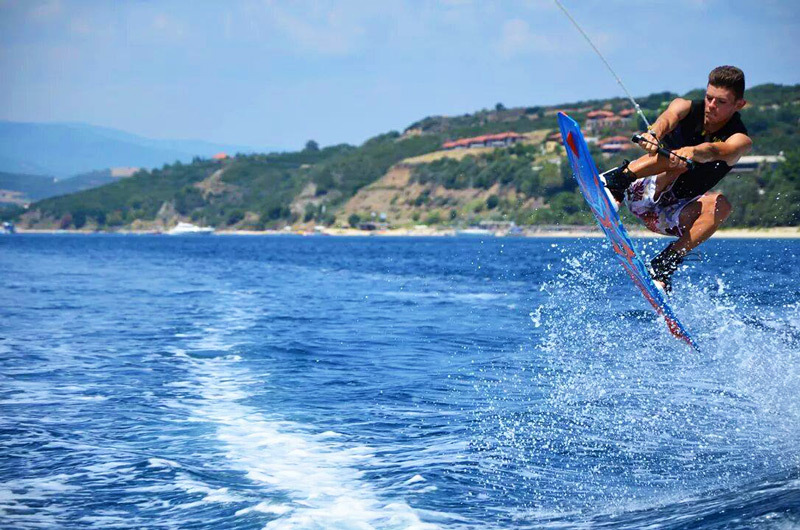 We have everything you need to enjoy a wonderful summer day at the Water Sports Poseidon! Do you Ski for many years and finally you want to improve? Do you need more than just a day at the beach? The «WATER SPORTS POSEIDON» has all the answers! With coaches who are willing to enter the water with you in order to teach you skiing. All our coaches are either professionals or high level skiers, with knowledge that can make anyone ski, but will also help you improve your skills, regardless of age!! Make your summer vacation bold and fun!